Wow - a simply stunning home. Island living doesn’t get much better than this! 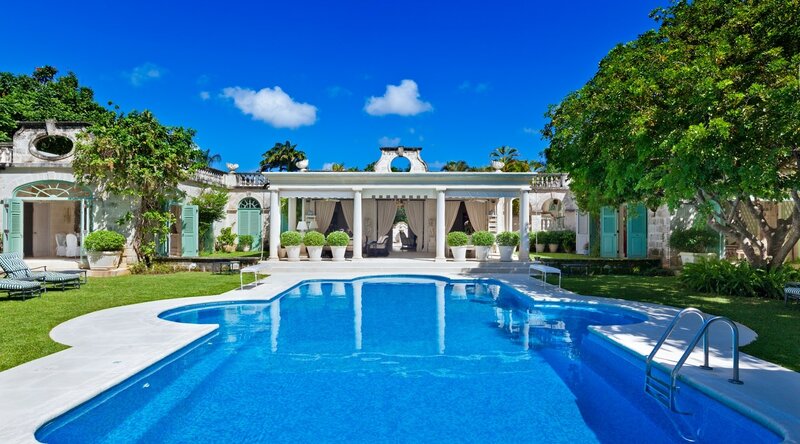 A truly stunning home designed by Oliver Messel. Perfect for a family gathering. 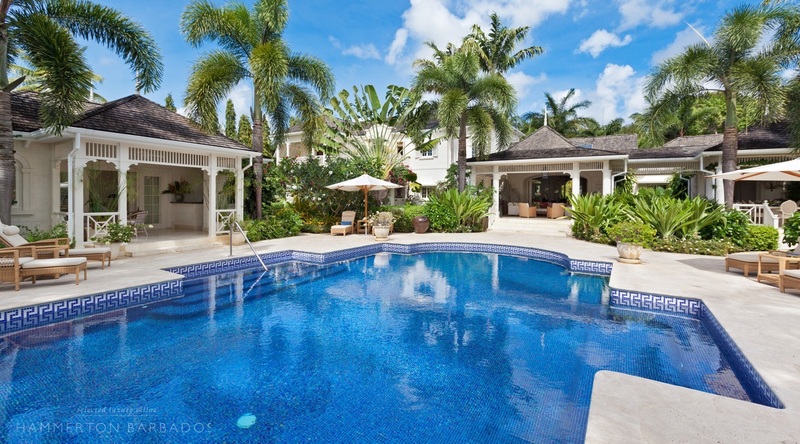 Luxury and elegance overlooking the famous Royal Westmoreland Golf Course. Beautiful furnishings throughout; simply stunning! 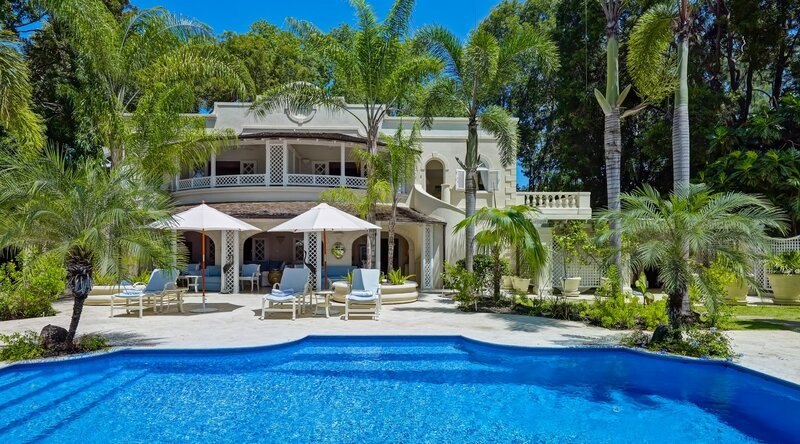 One of the the most attractive villas on the West Coast of Barbados with private access to the Gibbs beach. Imaginative design and outstanding panoramic views at this unique and very comfortable villa. 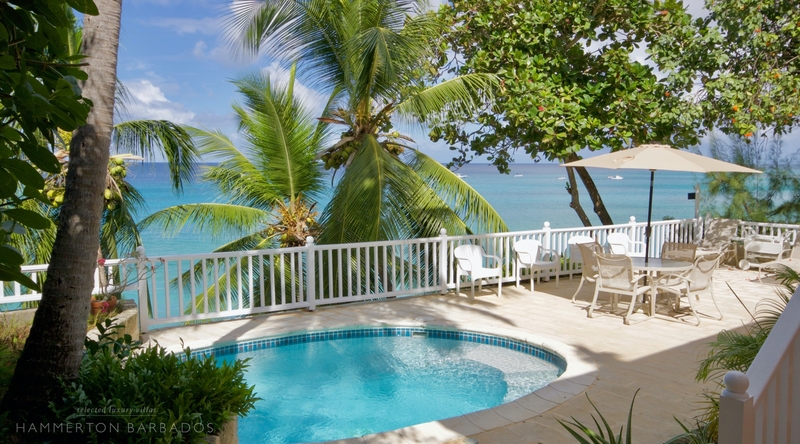 A wonderfully elegant beachfront home with fabulous service from attentive, engaging staff. 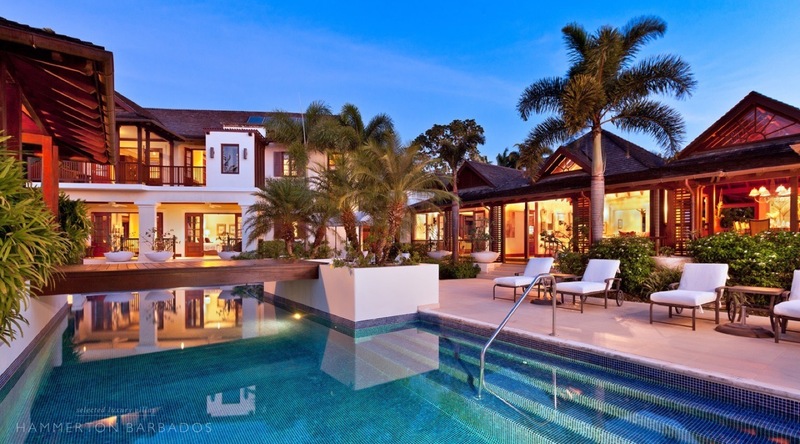 A stunning beachfront property with superb outside dining space and private pool. 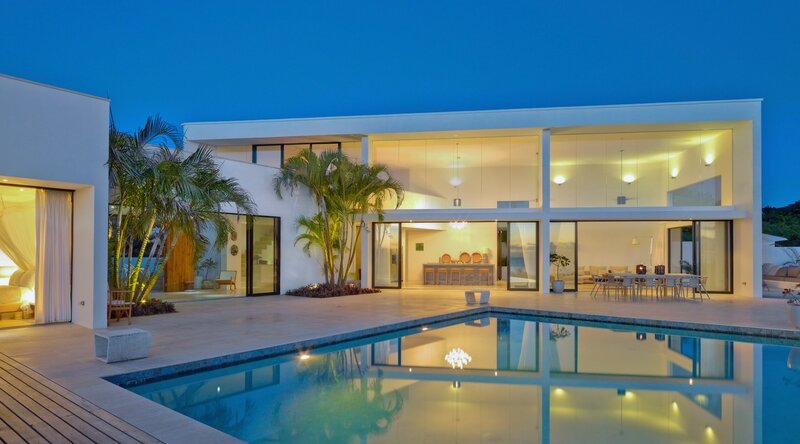 A stunning ultra-modern property with simply breathtaking views across to the Caribbean Sea. 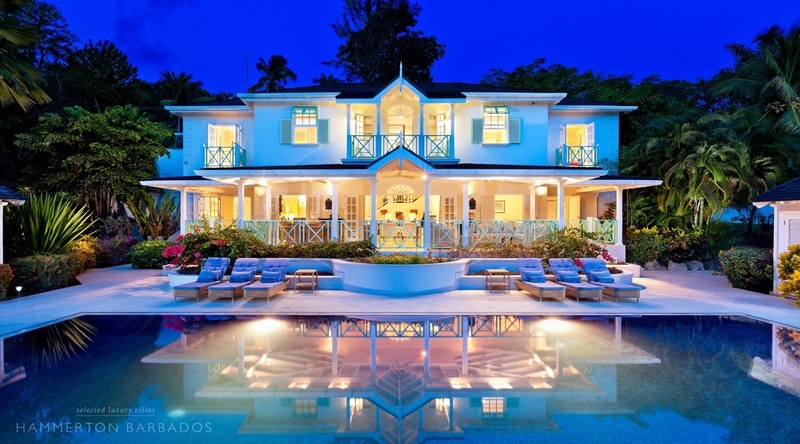 Welcome to Hammerton Barbados and thank you for visiting our website. 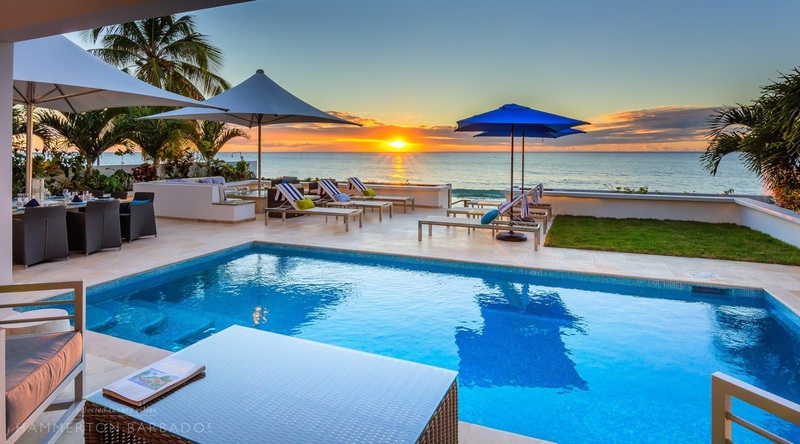 We offer a selection of over 200 stunning villas and apartments to rent along the famous west coast of Barbados and look forward to arranging your next holiday to this wonderful island in the sun. Lisa and Mark Hammerton take personal responsibility for every holiday we arrange. 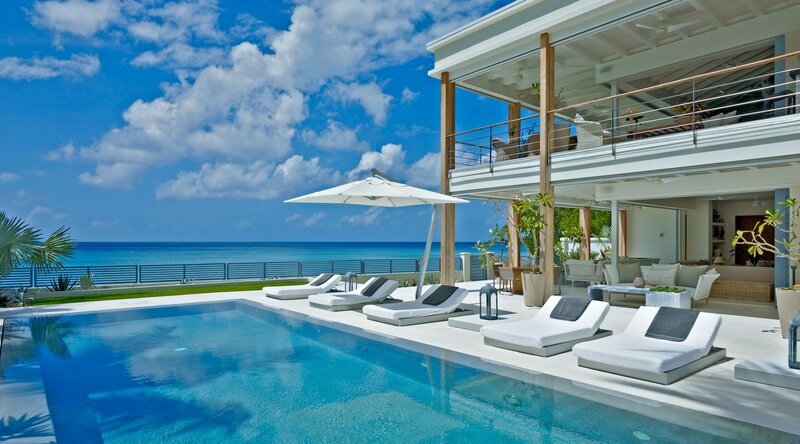 They are Barbados homeowners themselves and have visited and selected all the properties we offer. From your first contact with us to the courtesy call we like to make on your return home, we are always available to answer the smallest query. We like to be honest about things. Barbados is a wonderful island with some very special properties but there are always pros and cons about most places. 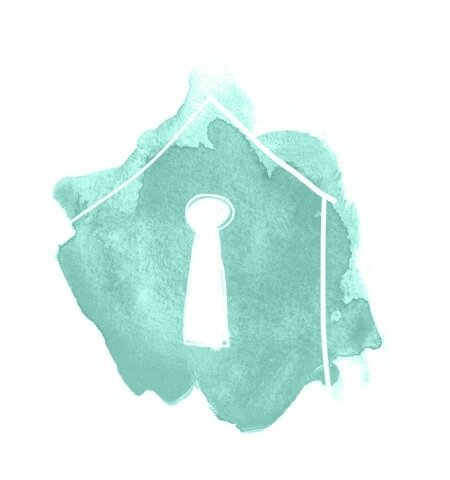 If the property features in our programme it means it is more than worthy of selection but we also write a short review which we hope provides a little more insight too. Service with a (huge) Smile. You will be welcomed to your villa by the homeowners’ local property manager who will know the property intimately and will be on hand to help through your stay. Larger properties include the services of chefs and even butlers as well as housekeeping staff – all hardworking, attentive and with the sunniest of smiles. 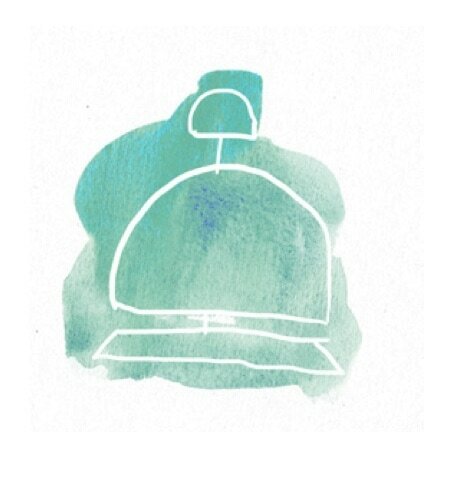 We are ready to help with assistance and advice at every stage of your holiday. Whether booking airport transfers or car hire, pre-stocking groceries at your villa or getting your reservation in early enough to guarantee a waterside table at The Cliff, we are always there to make sure your holiday goes without a hitch. Financial security is vitally important when booking your holiday. 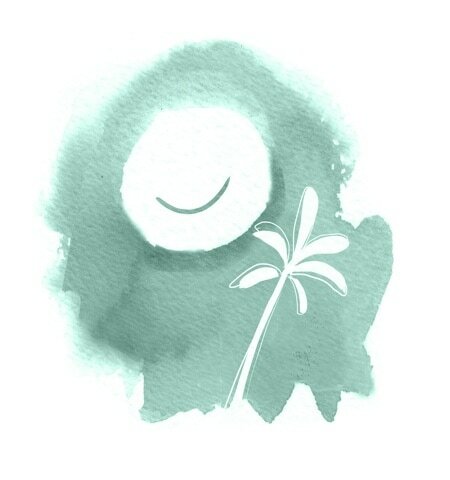 We guarantee that your holiday deposit will be passed on in full to the property owner (or their agent) within 14 days of receipt by us and the holiday balance will reach them at least one month before your arrival. 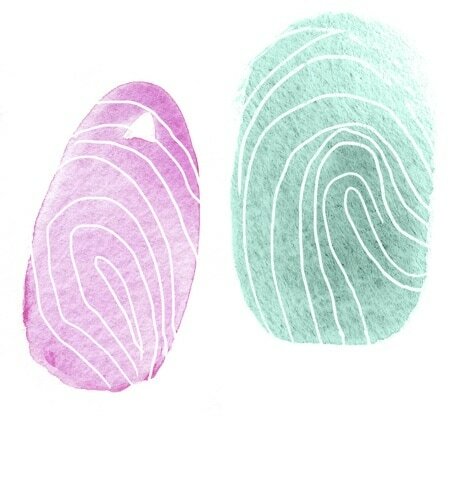 We offer the facility to pay by credit card for further peace of mind. You should never find the same property advertised at a lower price elsewhere but (importantly) our rates never exclude local taxes so it is worth checking when making comparisons! 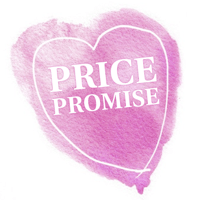 If you come across a promotional offer somewhere else please do let us know and we promise to match the price. 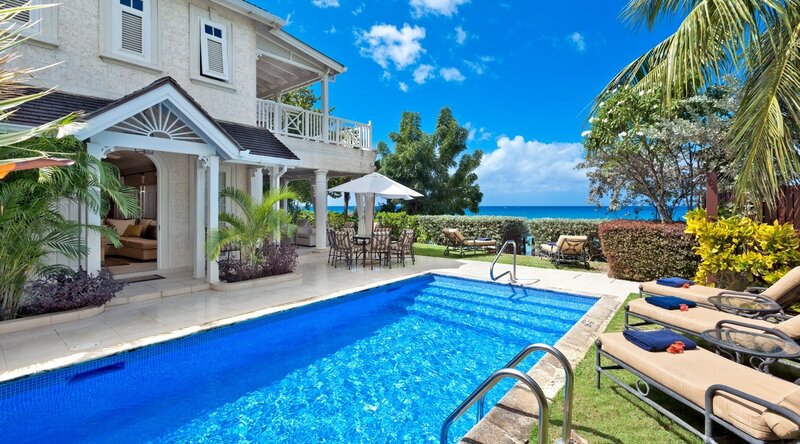 We offer some fabulous villas and apartments to rent in some wonderful locations and pinning down a few favourites is more than a little tricky but we are delighted to showcase these properties which we hope will whet your appetite for our full Barbados villa rentals selection. 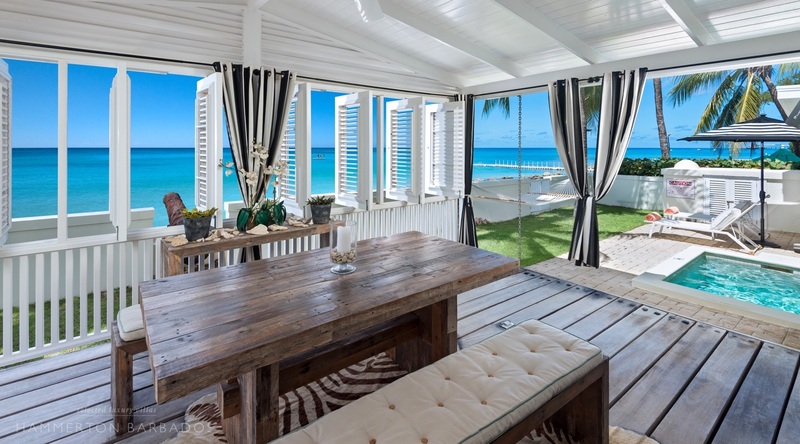 A hidden gem - this is a wonderful beachfront villa with stunning views from the moment you enter. 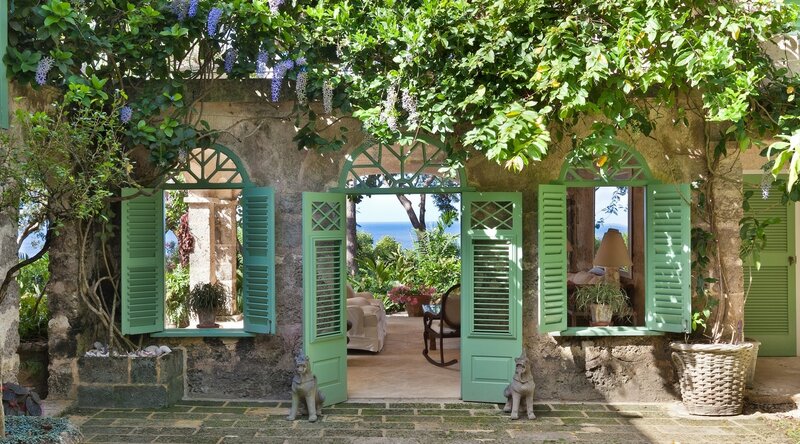 One of our favourite luxury villas on the Sandy Lane estate - wonderful private gardens, panoramic views and a very high standard of furnishings throughout. A very special place to stay. A beautiful contemporary 3 bedroom villa located within minutes of the stunning Alleynes Beach. 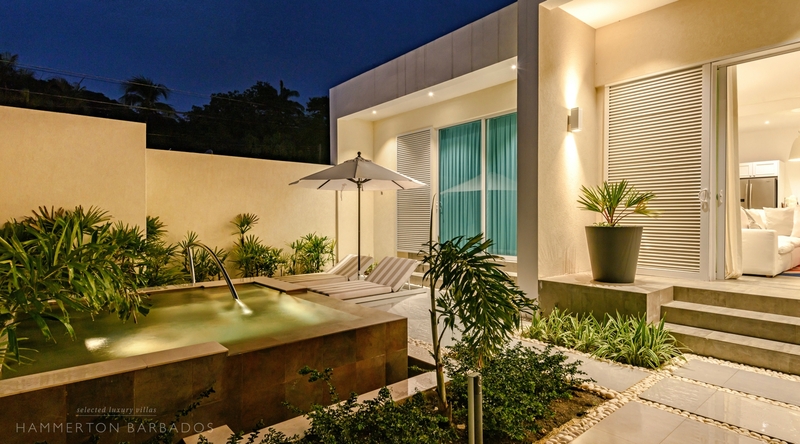 Modern furnishings throughout and a very private garden with plunge pool. A beautiful beachfront property located on Gibbs Beach. Very smartly furnished throughout with wonderful views. A lovely beachfront home in a quiet location near to the Fish Pot. Enjoy the wonderful Caribbean sea views from the hammocks in the garden. This contemporary villa is the perfect place to stay with family and friends - unusually for a beachfront villa, it has 5 bedrooms with good outdoor space and lovely interior furnishings. Looking to rent a penthouse apartment or luxurious villa by the beach? An immaculate private home or smaller apartment on a golf or tennis resort? A base for two or a larger home to host a gathering of family or friends? You’ll find villa and apartment rentals in Barbados to cater for every need and at Hammerton Barbados we have all the options covered. 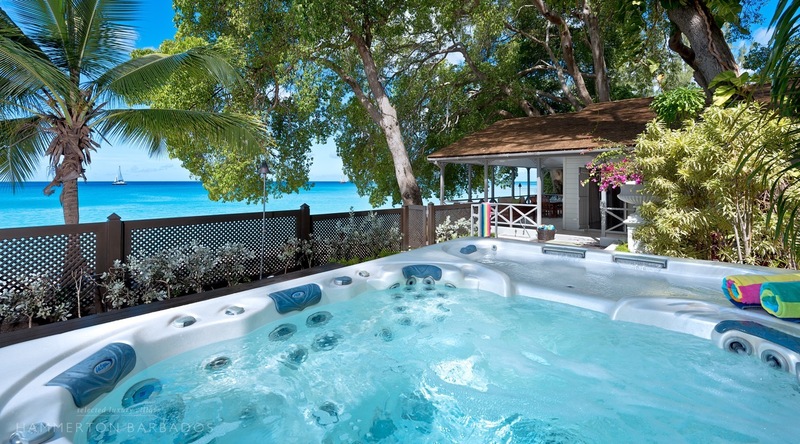 Our villa selection features some of our favourite places to stay on the island but we recognise that narrowing down the options can sometimes prove difficult. We have put together a few pointers which we hope will help you get your ideas together as you start to plan your stay. We love Barbados for so many different reasons - its wonderful climate, spectacular beaches, delicious food and very special people. But there is so much more to the island so take a look at some of our latest articles to help you plan your stay. 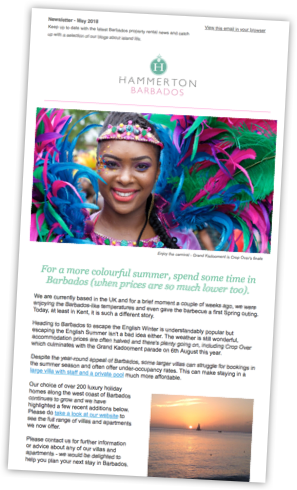 There's no better time to stay on the island than over Christmas and New Year and we would be delighted to help you plan your festive break in Barbados. This is such a popular time of year that the most attractive properties tend to book up a year in advance. Please do contact us as soon as possible and we will be pleased to help you find the ideal place to stay. Whether it’s booking restaurants, organising VIP fast track arrival assistance to whisk you past the queue for immigration on arrival, arranging airport transfers or getting some car hire quotes together for you, it's all part of the service and we are always delighted to help. 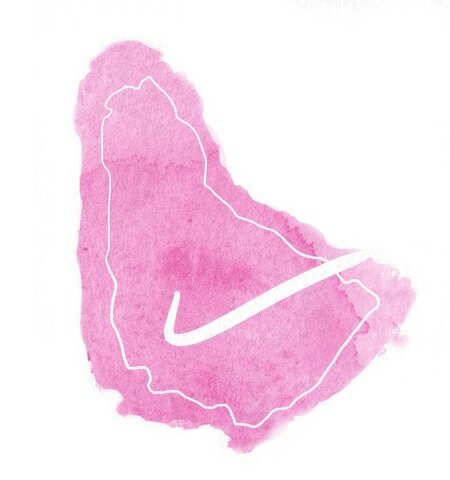 We are pleased to have been involved with the organisation of a number of weddings on the island and we would be happy to advise on the most suitable venue for your own event. 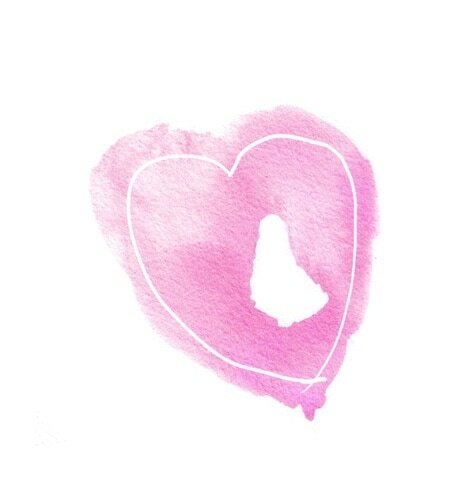 Discover our recommended properties and information on our trusted wedding and event planner. If you have visited Barbados before, you will know that there is nothing better than to swim up close with the island’s magnificent sea turtles. We are pleased to highlight the work of the Barbados Sea Turtle Project to help protect these endangered creatures. Barbados is home to the second largest nesting population of Hawksbill turtles in the Wider Caribbean and, in general, the turtles live very happily alongside the island’s visitors. But sometimes tourism has less welcome side effects and beachside lighting in particular can be disorientating for both nesting females and hatchlings. The Barbados Sea Turtle Project (BSTP) at the University of The West Indies have been involved in sea turtle conservation for over 25 years. With your holiday travel pack we will send you further details about the BSTP and will let you know how to receive notifications of hatchling release events that they organise on the island.